Huawei has just dropped what looks like a rather interesting new tablet. The MediaPad 7 Youth, is as you’d expect a seven inch tablet aimed at a younger audience but its has a rather striking looking aluminum metal unibody which is both skinny and light. Spec-wise it isn’t bad either,. You get With a 7-inch capacitive 10-point touchscreen, 1080p full HD video, a 28nm dual-core 1.6GHz processor and a sizeable 4100mAh Li-Polymer battery. 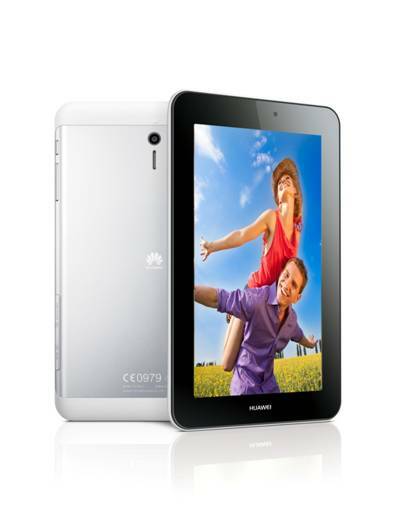 It will connect to HSPA+ (up to 21Mbps) and Wi-Fi connections, and like other Huawei tablets also offers voice calling. I guess this is the company’s rival to the incoming Samsung Galaxy Mega series of tablets/phones. It will be on sale in the UK in a couple of months time. No clues as to what the price will be. Forget smart watches, are smart textiles and implants the future?